Fall Jacket Just $16.99! Down From $60! PLUS FREE Shipping! You are here: Home / Great Deals / Fall Jacket Just $16.99! Down From $60! PLUS FREE Shipping! For a limited time only! 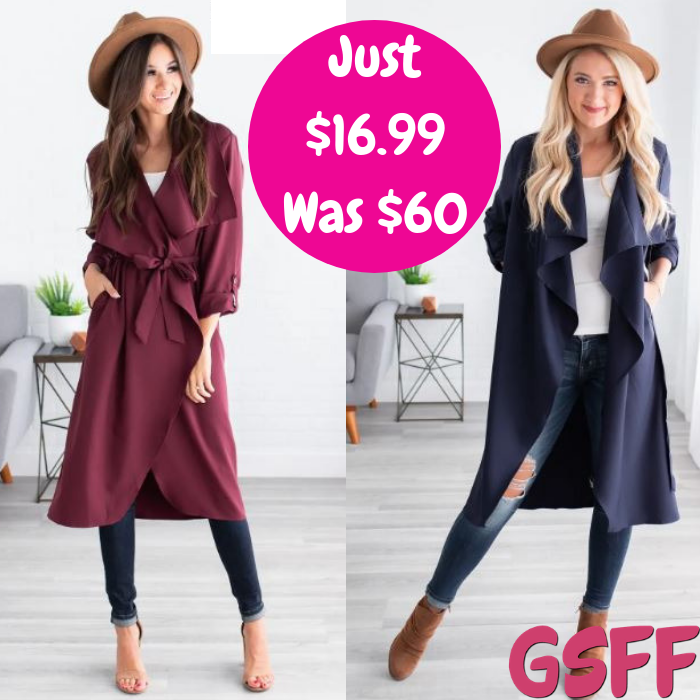 Jane is offering this Fall Jacket for just $16.99 down from $59.99 PLUS FREE shipping! Be excited about tis new Fall Jacket Collection! It features long sleeves, rolled sleeves, a long duster length, a tied waist, a gorgeous striped design, and comes in several beautiful colors! The soft fabrics and loose, flowy cuts makes these jackets perfect for layering as they drape beautifully over all body types!